The infographics is based on VTsIOM data. 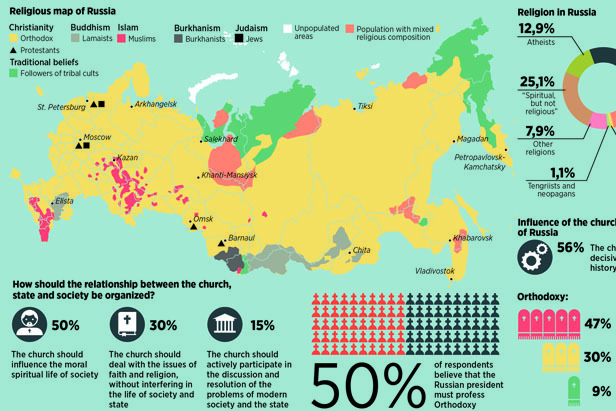 The current Constitution of the Russian Federation (1993) defines Russia as a secular state. The Constitution guarantees "freedom of conscience, freedom of religion, including the right to profess, individually or jointly with others any religion or no religion, to freely choose, possess and disseminate religious and other beliefs and to act in accordance with them."